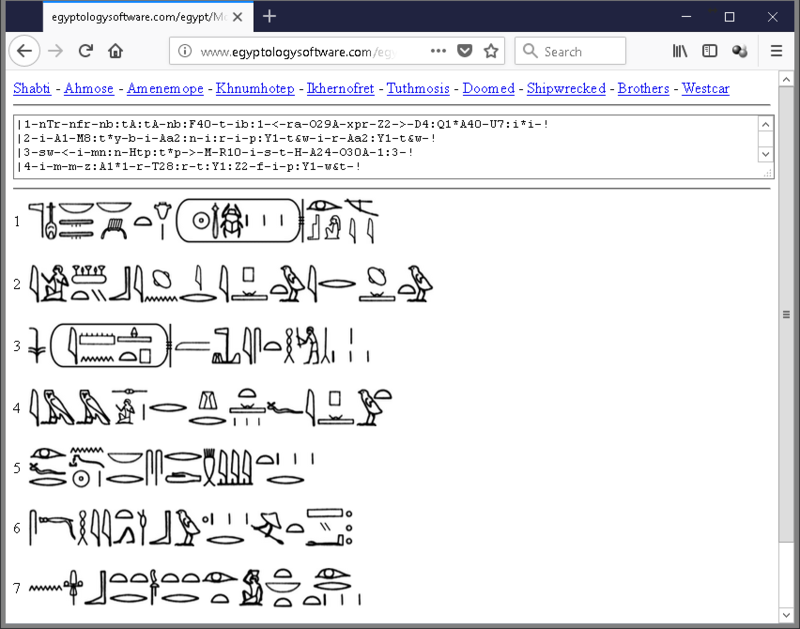 Goal 1: To create a method of displaying Ancient Egyptian Hieroglypic texts using a standard font via web browsers. This will be used extensively in the new SignWriter Online Service but it will also be made available for embedding short texts on external websites or for users to create their own PDF documents. The processing is being done server-side to create a simple flat HTML output that is supported by all browsers. 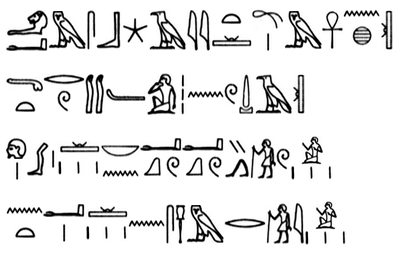 Gaol 2: The next goal is to provide and extensive library of Ancient Egyptian Texts. These will be available to view and search online. Full searching of texts for individual words, phrases, transliterations, translations or individual signs will be available. The texts can be read online or downloaded as PDF files and printed. Goal 3: To provide a comprehensive online dictionary. 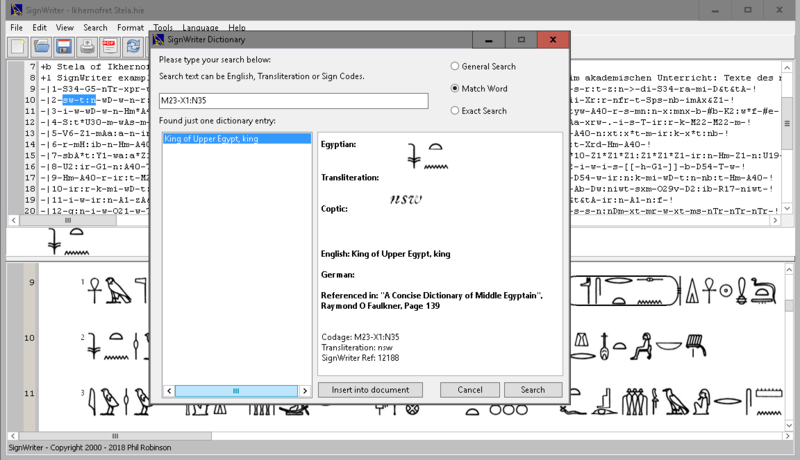 The existing SignWriter has fast searching., you can look up words quickly in English or Egyptian and the dictionary has over 25,000 entries. The dictionary contains references to source, examples, and can be searched using English, Egyptian, Coptic or Transliteration (MdC). This will be expanded and made fully searchable online. 4: To enable typesetting of short texts and phrases and download them as images for embedding in projects. 5: To educate and continue support of the MdC format and correct its flaws and ambiguities via software. 6: To provide support materials for offline Egyptian lessons. 7: To create an online learning environment and tools for students of the Ancient Egyptian Languages.